Bali is a charming and relaxed holiday resort on the north coast of Crete and should not be mistaken for the Indonesian island with the same name. 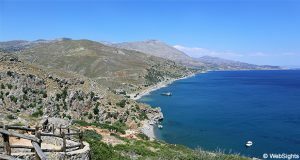 Bali is located between Heraklion and Rethymnon. The nearest airport is the international airport in Heraklion, from which there is a 45-50 minutes’ drive to Bali. The holiday resort Bali has four lovely beaches, which are all beautifully situated inside a large bay. The main beach is called Livadi and this is the beach farthest to the south in Bali. It is 340 metres long and covered with fine-grained sand. 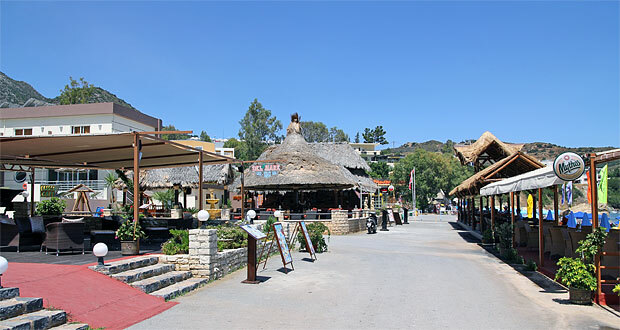 Behind the beach, there is a pleasant promenade with a fine selection of restaurants and cafés. 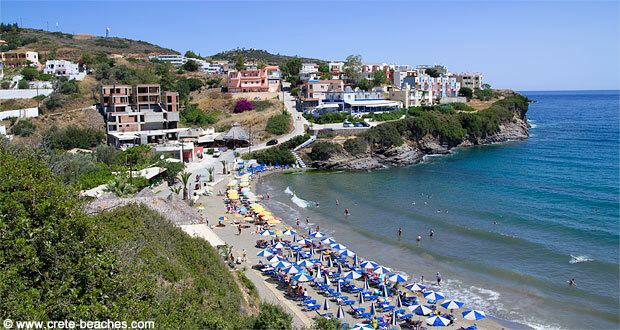 A bit further to the north, you will find the beach Varkotopos, which is also covered with fine-grained sand. Behind the beach, there are a few restaurants. 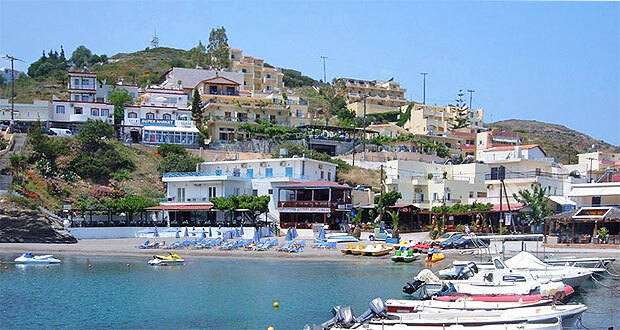 Next to the small harbour, you will find the beach Limani, which actually consists of two beaches. Along the pier, the fishing boats are rocking calmly from side to side and the pier also offers protection against the waves. The water is a bit more shallow at this beach. The beach farthest to the north is called Karavostasis. This is the smallest beach and here the sand is mixed with gravel and pebbles. At all the beaches, it is possible to rent sun lounges and sunshades, whereas the shower and toilet facilities vary from beach to beach. You can park in the streets behind the beaches, however, there is a large free parking space in the southern end of the main beach. The main beach has fine-grained sand and usually calm water. On days with waves, the beach near the small harbour usually offers the best protection. At the main beach in the southern part of town, there are different types of water sports activities, including sea kayaks and water bikes. There are restaurants and cafés near all the beaches, but you will find the greatest selection at the main beach. Bali used to be a simple fishing village, but it has grown bigger during the past few year. The fishermen still live there, but the town has become very popular among families and couples, who prefer a relaxing holiday in beautiful surroundings. They stay in the many small family-owned hotels or rent one of the many private holiday apartments in town. Bali also has a fine selection of restaurants, for example Karavostasi, which is one of the best restaurants in town.